Listed below are Mumbai’s main tourist attractions and fun activities that residents and tourists can enjoy with their children. Sanjay Gandhi National Park (aka Borivali National Park) is a large protected forest (National Park). Spread over 104 Sq Km, Mumbai’s Sanjay Gandhi National Park has 251 species of birds, 40 species of mammals (deer, leopards, lions, porcupine, hyena, etc), 50,000 species of insects, 38 species of reptiles (crocodiles, cobras, vipers, pythons, lizards, etc), 150 species of butterflies, 9 species of amphibians, 172 species of butterflies and 1,000 plant species. 6 Kms in the deep forest of Sanjay Gandhi National Park are the 2,400 year old Buddhist rock formations of Kanheri Caves. Tulsi and Vihar Lake are inside the National Park. Borivali National Park is one of Asia’s most visited National Parks. Boriwali National Park is the green lungs of Mumbai city. It is a great place for a picnic for the entire family. Timing of Borivali National Park is from 7:30 am to 5:30 pm. Special morning walk passes are available for walks from 5:00 am to 7:30 am. Borivali Station is the closest Mumbai Local train station. Bombay Natural History Society (BNHS) conducts One day nature walks, bird watching sessions, insect spotting programs, nature treks, talks by experts, film screening, etc, in and around Mumbai. In addition BNHS also conducts some very interesting National and International camps. All these interesting activities are not restricted to BNHS members, but non-members too can enjoy them. For details of Bombay Natural History Society’s programs visit their website. Bombay Natural History Society (BNHS) is one of India’s largest and oldest NGOs involved in nature conservation and biodiversity research. BNHS also conducts educational programs, publishes a quarterly magazine called “Hornbill”, publishes books and audio/video material, has an extensive library and offers consultancy services. Mumbai Zoo is spread over 48 acres at Byculla, in Central Mumbai. Bombay Zoo has lions, elephants, bears, monkeys, crocodiles, deer, hippopotamus, snakes, peacocks, birds, pelicans, flamingos, etc. Children will enjoy the animals and green open spaces. There is a play area for kids in the Zoo. 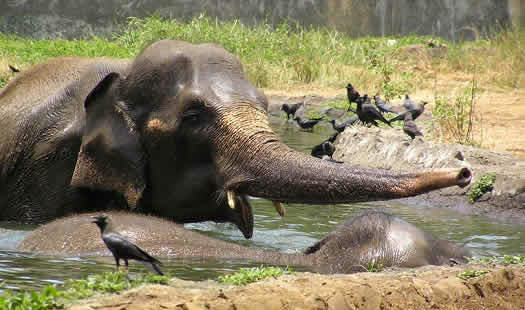 There are plans to improve Mumbai Zoo, but not much has been implemented. Official name of Mumbai’s Zoo is “Veermata Jijabai Bhonsle Udyan”; it is also called “Jijamata Udyan”. 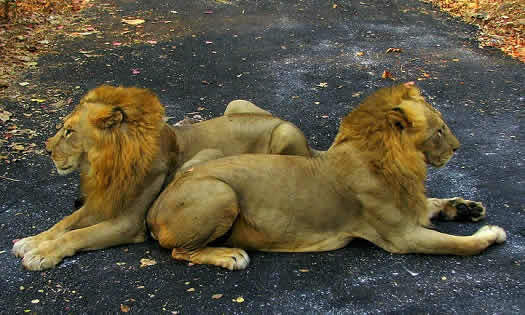 Mumbai Zoo is closed on Wednesdays and Zoo timings is from 9:00 am to 6:00 pm. Just outside the Zoo is the Dr Bhau Daji Lad Museum. Closest Local Train station is Byculla on the the Central Line. Spread over 4000 acres, Aarey Milk Colony is a popular picnic spot. Aarey Milk Colony is a large 1,287 hectares, open, green space where cattle are reared for milk. There is a milk processing plant which pasteurizes 40,000 litres of milk per day. Visitors can see the plant from 11:00 am to 5:30 pm (call 022-29272434). Aarey Milk Colony has a 10 Km stretch of Walker’s track and many nature trails. Aarey Milk Colony is also popular with serious runners. Many Mumbai schools hold their cross-country races at Aarey Milk Colony. Aarey is also popular with cyclist. Deep within Aarey is the Aarey Garden Restaurant. At the Southern tip of Aarey Milk Colony is Chhota Kashmir, a popular boating and picnic spot for the entire family. Aarey Milk Colony is located between Goregaon (E) in the West and Powai Lake in the East and Borivali National Park in the North. There is a poorly maintained toll road that runs from Powai Lake to Goregaon (E). Western Railway’s Goregaon Station is the closest Suburban Train station. Located in Aarey Milk Colony, off the Aarey Road, “Chota Kashmir” is a family picnic spot. The reason it is called “Chota” (Small) Kashmir is because there is lake with paddle boats, similar to Srinagar’s Dal Lake. “Chotta Kashmir” also has a nice garden, kid’s play area and food stalls. The garden is open from 9:00 am to 6:30 pm. “Chotta Kashmir” is located off the Western Express Highway near Goregaon East and the closest Mumbai Suburban Train station is Goregaon. Even though the area around Powai Lake has residential and commercial complexes, there are still places where families can have a picnic along this artificial lake. Powai Lake is also home to Maharashtra’s oldest fishing association, “Maharashtra State Angling Association”, founded in 1936 (contact number 022-28571780). Angling Association is for Mumbai’s fishing enthusiast, who are also involved in the conservation of Powai Lake. A picnic at Powai Lake, followed by a walk along Powai promenade and a visit to Hiranandani’s Powai complex, is an enjoyable way to spend a family holiday. 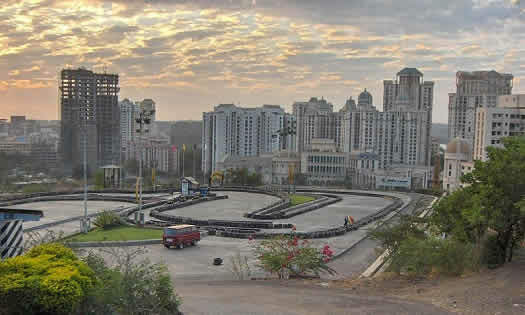 Powai Hiranandani has many activities for the entire family, including Go Karting, Bowling, Games, Shopping, good restaurants, etc. A good time to visit Powai Lake is during the monsoon when the lake overflows, forming mini waterfalls. Many Mumbaites visit Powai Lake to get drenched in these waterfalls. North of Powai Lake is Vihar Lake, which used to be a popular picnic spot, but since 1993 BMC has restricted access to the public. Beautiful pink Lesser Flamingos (Phoenicopterus Minor) visit Mumbai in the winters from November to March. It’s a lovely sight to see hundreds of pink flamingoes, with dark black bills, feeding on the wet mudflats of Sewri and Thane creek. In addition to Flamingoes, bird lovers can also see Kingfishers, Sandpipers, Terns, Harriers, Godwits, Shanks, Gulls, Herons, Black-headed Ibises, Egrets, etc. These Flamingos come from the north for winter, especially from Gujarat’s Rann of Kutch. There are very few places in India where visitors can see so many flamingos in one place. The pink Lesser Flamingoes come to the Sewri Creek Mudflats, Mahul and Thane Creek in search of algae, which is their staple food. They also come to breed and lay eggs among Mumbai mangroves. 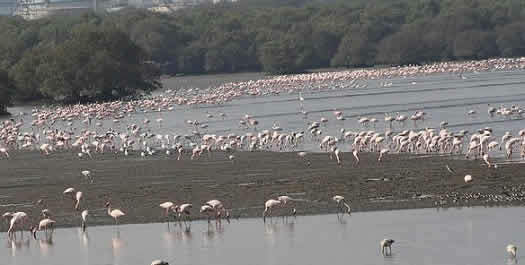 In the past, many flamingoes would visit the wetlands of Uran, but the reclamation of land for the Navi Mumbai Special Economic Zone (NMSEZ) has destroyed the flamingos’ natural habitat. To see Mumbai’s flamingoes, travel east from Sewri station up to Sewri wharf. Do carry your binoculars for a closer look at these magnificent birds. Elephanta Caves is an UNESCO World Heritage Site, located on Elephanta Island (Gharapuri). Elephanta Caves are one of two UNESCO World Heritage Sites located in Mumbai; the other is VT (CST) Station. Elephanta Caves are located on an island and consists of two Buddhist caves and five Hindu caves, which have carved statues of Hindu Gods. 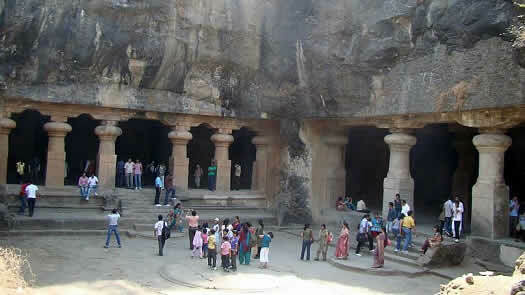 The Hindu caves are mainly dedicated to Lord Shiva and Goddess Parvati. 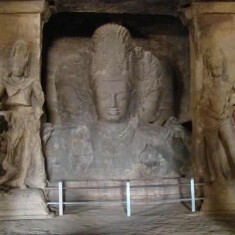 The largest Elephanta Cave has an imposing 20 feet “Trimurti” sculptor, the three heads of Lord Shiva, which represent creation, protection and destruction. Elephanta Caves can be reached by boat ferry from Gateway Of India, which is 11 Km (7 miles) away. There are boats every 30 minutes from Gateway Of India, starting at 9:00 am until 2:30 pm. The return ferry service from Elephanta Island to Gateway Of India starts from 12:00 noon and the last boat ferry is at 5:30 pm. Return ticket costs Rs 120. Tourist can take short pleasure boat rides at Gateway of India which last around 30 minutes. Ferry boats take passengers for a short ride in the Arabian Sea from where they can view the Gateway of India, Taj Mahal Hotel and parts of Mumbai docks. Visit this link for more information on Boat Rides from Gateway of India. 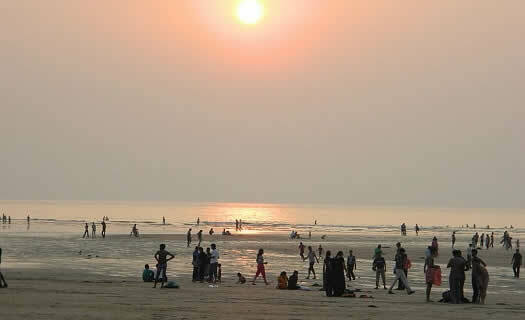 Alibaug is a popular beach destination near Mumbai. Daily boats are available from Gateway of India (Colaba) to Alibag via Mandwa Jetty. Journey from Gateway of India to Mandwa Jetty is by boat and from Mandwa to Alibaug is by bus. Boat service from Gateway of India is from 6:15 am to 6:30 pm. Bus and Boat service from Alibaugh is from 6:55 am to 6:30 pm. The three operators who offer the Boat and Bus journey from Gateway of India to Alibaug are Ajanta (022-22026364/22023585), PNP (022-22885220/21) and Maldar (022-22829695). Combined cost of Boat Ferry and Bus ticket from Gateway of India (Bori Bandar) to Alibaug is between Rs 85 to Rs 140. Air-conditioned Mumbai-Alibag boat service is around Rs 140. This service is not available in the Monsoon season. Road Distance from Mumbai (Dadar) to Alibaug is 100 Km and the journey can take over 3 hours. The same journey by boat takes only 2 hours. Distance between Gateway of India to Mandwa Jetty is 15 Km (approx) and from Mandwa to Alibaugh is 20.5 Km. Beaches in and around Alibag include Alibag beach, Raiwadi Beach, Revdanda Beach, Varsoli Beach, Kihim Beach, Awas Beach, Sasawane Beach and Saaral Beach. Mumbai has beautiful golden sand beaches. Sadly, the local authorities have not developed beach infrastructure (shower areas, changing rooms, lifeguards, etc) and water sports (skiing, surfing, boating, etc). As a result, taking a dip in the sea is a challenge. Beaches along Madh Island, Uttan and Gorai have shacks and small hotels which offer rooms; these are ideal for a day out at Mumbai’s beach. Sea along the Madh, Gorai and Uttan Beaches has strong undercurrents; so it is not advisable to go deep into the water. Even in a city like Mumbai there are idiots who stand and stare at ladies wearing swimsuits. It is advisable for ladies to dress modestly at the beach. Located at Girgaon Chowpatty Beach, Mumbai’s H2O Water Sports Complex offers water and beach related activities, including, Jet Skiing, Water Skiing, Wake Boarding, Parasailing, Sailing, Wind Surfing, Kayaking, Beach Volleyball, Speed Boats, Luxury Boats for hire, Bay Cruise, Yacht Charter, events, etc. H2O Water Sports Complex has trained and certified life guards and they use international standard equipment. South Mumbai is Mumbai’s main tourist destination. South Bombay has stunning architecture and is a tourist’s delight. South Mumbai’s architecture is a mix of Victorian influences, Gothic architecture, Art Deco architecture and Indo-Saracenic architecture (mix of Islamic, Hindu, English Gothic, Victorian and Neo-Classical). 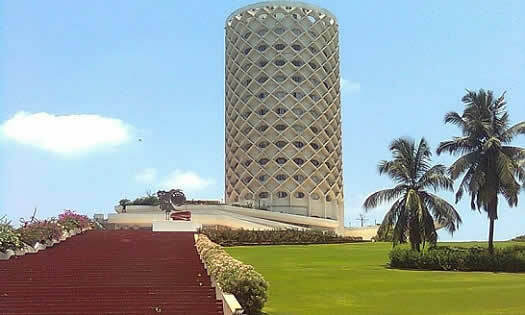 Mumbai’s Marine Drive has the second largest collection of Art-Deco Architecture in the world. India has submitted Victorian and Art Deco Ensemble of Mumbai to UNESCO Committee for evaluation as a World Heritage Site. Key Tourist attractions in South Mumbai are Colaba, Gateway of India, Mumbai’s Art District, Museum, Oval, Fort, VT (CST), Churchgate, Marine Drive, Azad Maidan, Cross Maidan, Crawford Market, Hanging Garden, Haji Ali, Mahalaxmi, Worli Sea Face, etc. This link has detailed information on a One Day Walking Tour of South Mumbai’s Main Attractions. 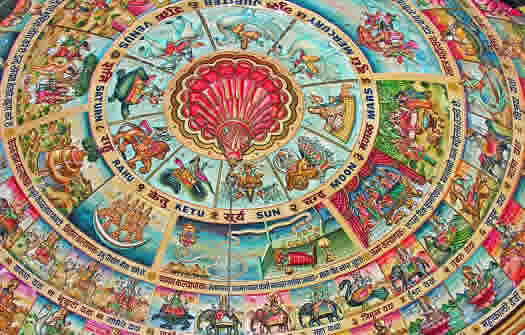 Many tour operators offer a daily Mumbai Tour, also called “Mumbai Darshan”. These are guided tours of the main tourist places in Bombay. Bollywood Studio Tour where Hindi movies are filmed. This link has maps of Hindi movie stars who live in Mumbai. Guided tour of Dharavi conducted by Reality Tours and Travel. 80% of the post tax profit is given to a Dharavi NGO. “Mumbai by Night” tour by Reality Tours and Travel. Bombay Natural History Society (BNHS) conducts nature walks every weekend. Visit their website for schedule. Tour operator Mumbai Magic conducts tours on the people of Mumbai and Bombay attractions by local transport. MTDC runs a South Mumbai tour on an open air tour bus (“Nilambari”). Bus is available on Saturday and Sunday. Mumba Devi Temple, which is near Crawford Market and Jhaveri Bazaar. Goddess Mumbadevi is the patron Goddess of Mumbai and the city is named after her. Banganga, which is a lovely holy pond with temples all around it; the most famous temple is Shri Walkeshwar Temple. Banganga is located at the end of Walkeshwar and Napean Sea Road. Kanyakaparameshwari Temple and Kannikaparemashwari Mandir at Telang Road, Matunga East. There are 15 temples at Matunga. Manekji Sett Shenshai Fire Temple (Agiary) at Fort, Mumbai. NOTE: Only Parsees are allowed in Fire Temples. 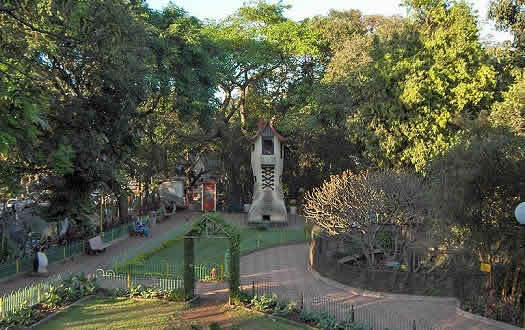 Priyadarshani Park, Hanging Garden and Kamla Nehru Park are 3 great gardens and parks in Malabar Hill and Napean Sea Road. In addition to shopping, the below Mumbai Malls also offer great food and entertainment. High Street Phoenix at Lower Parel has four shopping zones – “Palladium” for high end luxury shopping, SkyZone, Grand Galleria and High Street Units. There are 500 brands available in an area of 3.3 million sq ft. Children and families enjoy movies at the 7 screen PVR, multi-cuisine food court, toys at Hamleys, special events at the malls, rides and games. Atria Millennium Mall at Worli has shops selling high end luxury products. It also has a large entertainment area for kids and families and a food court. InOrbit Mall at Link Road, Malad has a mix of international and national brands. On the top floor is a large food court with seating for 800 and 26 restaurants, Inox cinema, play area called “Time Zone”. InOrbit has also opened a mall at Vashi in Navi Mumbai. Oberoi Mall at Goregaon has a large central Atrium around which is shops, PVR cinema halls, Kid’s area, a crèche, games and restaurants. R City Mall, LBS at Ghatkopar West is a 1.2 lakh sq ft mall at LBS. For families and kids, there is “Jammin” (Gaming Zone), “Horror House”, Big Cinema movie halls, 46 restaurants/food kiosks, etc. India’s first “Kidzania” is at R City Mall. Kidzania is an edutainment park for kids from 4 to 14 where they learn while playing games. Shahrukh Khan is part owner of Kidzania. Kidzania ticket cost Rs 700 for 5 hours. Raghuleela at Kandivali has 800 shops is spread over 4 floors. Raghuleela also has a bowling alley, gaming zone, food court, 4 Fame cinema halls. Raghuleela also has a mall at Vashi. Mumbai’s biggest museum, “Chhatrapati Shivaji Maharaj Vastu Sangrahalaya”, was previously called Prince of Wales Museum. Mumbai’s Prince of Wales Museum has three main sections – Art, Archaeology and Natural History. Over 50,000 Indian and international artifacts are on display at “Chhatrapati Shivaji Maharaj Vastu Sangrahalaya”. The impressive Bombay Museum building is built in the Indo-Saracenic style of architecture, which was popular in Bombay in the late 19th and early 20th century. Mumbai’s Prince of Wales Museum is located at Kala Ghoda (near Regal, Colaba and Fort) in South Mumbai. Mani Bhavan was Mahatma Gandhi’s Mumbai headquarters from 1917 to 1934. Key movements related to India’s independence (Satyagraha, Non-Cooperation movement, Swadeshi, Khadi, Khilafat, etc) were started here. Mani Bhavan has many Mahatma Gandhi photos and articles. Mani Bhavan is located at Gamdevi, near Chowpatty beach. Mani Bhavan is close to August Kranti Maidan from where the Quit India movement was started in 1942. Dr Bhau Daji Lad Museum is Mumbai’s oldest museum. It has artifacts related to Bombay’s history and culture. The Bhau Daji Lad Museum has beautiful interiors. Bhau Daji Lad Museum building is based on Palladian design. The museum building and interiors were recently restored after extensive work. Bhau Daji Lad Museum has been awarded UNESCO’s “Award of Excellence”. Dr Bhau Daji Lad Museum is located near the entrance of Mumbai Zoo (“Jijimata Udyan”) at Byculla East. Dr Bhau Daji Lad Museum has 6 galleries and a library. Museum tours are conducted on Saturday and Sunday. Dr Bhau Daji Lad Museum is closed on Wednesday and some public holidays. Its timing is from 10:00 am to 6:00 pm. Visit Dr Bhau Daji Lad Museum’s excellent website for further information. Located at Ballard Estate (near Fort and VT), the Reserve Bank of India’s (RBI) Monetary Museum has artifacts and information regarding money, coins and Reserve Bank of India. RBI Monetary Museum has six sections. Nehru Planetarium has daily, multiple documentary shows about space and astronomy in Hindi and English. These shows are a good educational tool for children. When visiting Nehru Planetarium, do visit the Nehru center which has information on the history of India, visit the theater for a play and visit the art gallery. Below average fish Aquarium, whose biggest advantage is that is located on the amazing Marine Drive. Adlabs Imagica is India’s biggest international quality entertainment theme park. With 21 rides and attractions, Adlabs Imagica is bigger than many Asian theme parks. Some of the best rides at Adlabs Imagica are Nitro (Asia’s largest roller coaster), Scream Machine, Mr India, D2 Dare Drop, “I For India”, Deep Space, Alibaba, Cinema 360, Curse of Salimgarh, Bandits of Robin Hood (Roller coaster for young children), Bump in Boats. Visit this link for more information on Adlabs Imagica – It’s rides, ticket cost, directions. Spread over 6 zones, Adlabs Imagica also offers stage shows, street entertainment and exciting food. Those visiting should plan to spend the entire day. Adlabs Imagica timing is from 11:00 am to 8:00 pm, though the theme park ticket counter opens at 10:00 am and the park closes at 9:00 pm. Adlabs Imagica is located at Khopoli which is 70 Km from Mumbai and 90 Km from Pune. Visit this link for details on how to reach Adlabs Imagica. Ticket costs on weekends and holidays are more than on weekend. Do visit their website for information on current ticket deals and discounts. Adlabs Water Park is expected to start in 2014. EsselWorld is a large amusement park with rides, games and food and Water Kingdom is a Theme Water Park. Both these parks are located over 64 acres at Gorai in North-West Mumbai. Essel World is India’s largest amusement park (different from theme park) with 9 adult rides, 14 children’s rides and 13 family activities. In addition is also has a 3,400 sq ft ice skating rink, 6 lane bowling alley, a dance floor and 6 food outlets. Water Kingdom claims to be Asia’s largest Theme Water Park. Essel Water Kingdom has 21 water based attractions/rides spread over 5 zones (Lagoon, Missphisly Hill, Adventure Amazonia, Wetlantic and Brat Zone). NOTE: Nylon or Lycra swimwear is compulsory for all visitors. In case visitors forget, swimwear is available at Essel Water Kingdom. Both EsselWorld Amusement Park and Water Kingdom are open from 10:00 am to 7:00 pm. Visit their website for latest prices and ticket deals. A cricket pitch can be hired for a day at one of Mumbai’s cricket maidans (grounds). Popular Mumbai Cricket grounds are Azad Maidan , Cross Maidan, Oval Maidan, Shivaji Park, Matunga (W) outside Ruia college, etc. Located at Chowpatty (Gigaum), H2O Water Sports Complez offers equipment and trainers for various water sports. Please see the above section on H2O Water Sports Complez. Maharashtra Rifle Association has modern shooting ranges in distances of 10, 25 and 50 meter. Maharashtra Rifle Association’s shooting range is located at Worli Sea Face. Listed below are tourist attractions outside Mumbai. Many of these tourist places are near Mumbai and can be covered in a day. Western Ghats (also known as the Sahyadri Mountains, a mountain range along the western side of India and one of the world’s ten “Hottest biodiversity hotspots” (sub cluster nomination)) – A total of thirty nine properties (including national parks, wildlife sanctuaries and reserve forests) were designated as world heritage sites – twenty in the state of Kerala, ten in Karnataka, five in Tamil Nadu and four in Maharashtra. Apart from the 30 sites inscribed on the World Heritage list, India has also maintained a list of tentative sites for recognition which has been submitted to UNESCO Committee for evaluation and acceptance. Alibaug and Kihim Beach Via Ferry. Other beaches near Alibagh are Mandwa Beach, Raiwadi Beach, Revdanda Beach, Varsoli Beach, Awas Beach, Sasawane Beach and Saaral Beach. Blue Bulb offers paragliding, kayaking, sailing lessons, paintball, scuba diving, white water rafting, fishing, various exciting workshops, etc. Visit Blue Bulb’s website for more information. Karnala Bird Sanctuary is a forest area (National Park), which is an ideal place for bird watchers, picnickers and trekkers. Karnala Bird Sanctuary is located beyond Navi Mumbai at a distance of 12.5 Kms from Panvel, 25 Km from Palm Beach Road at Belapur and 52 Km from Dadar, Mumbai. Around 150 species of birds can be seen at Karnala Bird Sanctuary. The two main bird watching season are at the start of the monsoon (second week of June) and winter when 37 species of migratory birds arrive at Karnala Bird Sanctuary. The open greenery of Karnala Bird Sanctuary is a great place for the family to enjoy a picnic. Karnala Fort is a short 1 hour trek, which is popular with trekkers. Lonar is the world’s third largest crater formed by a meteorite from space. The crater is filled with water to form a lake.